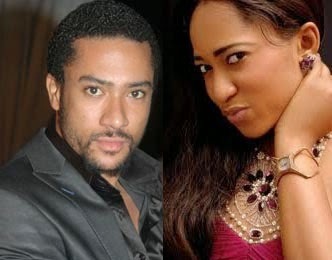 Award winning actor Majid Michel has teamed up with Nigerian actress Rukky Sanda in an upcoming movie titled ‘If You Were Mine’. The movie, written and directed by multiple awards winning director Pascal Amanfo, is expected to be premiered on February 21 at the National Theatre. According to BarCo Studio, the production house responsible for the production, the movie would be a page-turner that would provide patrons a mind-blowing experience from beginning to end. The movie is about a young man who met a mysterious lady at a nightclub and before the night ended, they both found themselves in bed. The ‘If You Were Mine’ movie brought together a team of crème de la crème movie stars from both Ghana and Nigeria. They include Majid Michel, Rukky Sanda, Kweku Elliott, Roselyn Ngissah, Salma Mumin and Pascal Amanfo among others.